Keep sweat out of your eyes with Transfer Lite Headband made of P.R.O. Transfer fabric with Minerale™ for exceptional moisture transfer. Reflective elements for low light visibility. Keeps the sweat out of my eyes. When I ride I sweat, a lot. This headband does its job well. Does no better than my old sweatband of 20 years. Marginally better than a cotton bandana. Wonder if I can return it. Wicks the perspiration... right into your eyes. Good if the temp is below 75, but anything above that, and it was dripping straight onto my sunglasses and into my eyes. Quite a disappointment. The 3 for $5 generic brand from Walmart works better on hot days. Pearl Izumi stuff is usually top-notch, but not this product. NICE HEADBAND. DOES THE JOB. FOR AS THIN AS IT IS, IT DOES A GREAT JOB KEEPING THE SWEAT OUT OF MY EYES. John McEnroe's got nothin' on me! 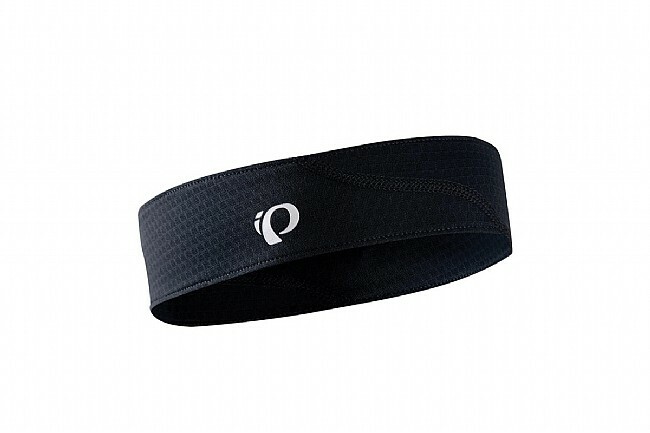 Pearl Izumi knocks it out of the park w this fashionable, yet functional headband! This winner does it all keeps my nasty, salty sweat out of my eyes, & fits under my $300 helmet! You should seriously consider this if you are looking to rock the headband. My head sweats profusely when I wear a helmet, and this headband does a good job of keeping the sweat out of my eyes. It wicks well so it doesn't become soggy, and fits under the helmet with no problem.